This beautiful 19th-century Art Nouveau hotel is located in the very heart of Marianbad and faces the Spa Colonnade with the singing fountain. It is a sought-after location for all who appreciate history and cultural events. J. W. Goethe, T. G. Masaryk and T. A. Edison are among the many famous guests who have been accommodated there. 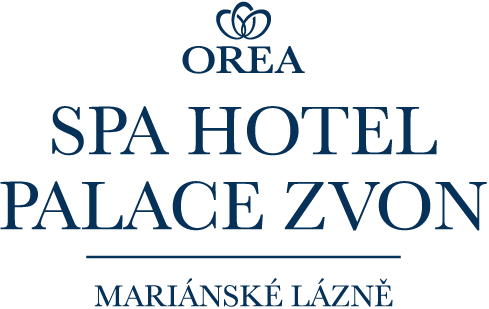 The Orea Spa Hotel Palace Zvon***** offers peaceful spa accommodation in a historic building, but with the added convenience of modern amenities. Its 127 rooms feature satellite TV, direct dial telephone, minibar and safe. Free entrance to the hotel pool is also included with your room.